I admire John Muir: he had a tormented childhood and found healing in nature. He saved much of California's wilderness for us to appreciate! 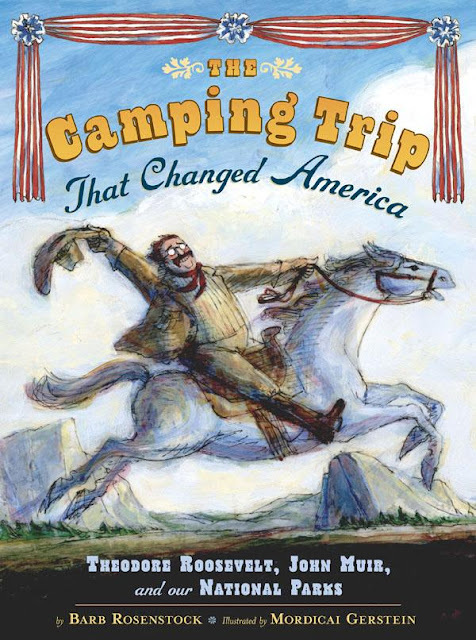 If you read The Camping Trip that Changed America, you will love the YouTube video with Muir's voice, pictures, and a narration. A wonderful companion to the book! This YouTube video shows the pictures and the actual story of the book! It is a six minute portion of Ken Burn's documentary focusing on the camping trip of Teddy Roosevelt and John Muir. Enjoy! The Camping Trip That Changed America: book and youtube videos. This final YouTube video shows the splendor of Yosemite valley. I have yet to visit, but it is now on my bucket list!